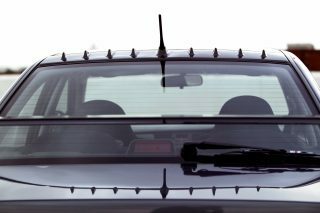 Does a vortex generator really help generate downforce on a car? 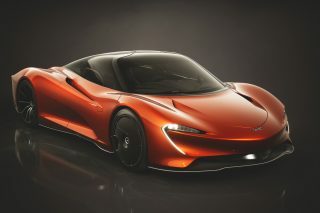 McLaren Automotive, the British manufacturer of luxury sports and supercars, and Pfaff Automotive Partners, the distributor for McLaren automobiles in Canada, have partnered to create five very special 570S Spiders that celebrate McLaren’s racing and road-car history in Canada. Developed using the Bespoke service available from McLaren Special Operations (MSO), which offers almost limitless design possibilities, the 570S Spiders are designated ‘Canada Commission’ and feature a number of unique design elements that pay tribute to McLaren’s Canadian history. The body paint is Silica White, with extensive exterior trim tinted in red carbon fibre. A white accent stripe on the lower sills, subtle white Canadian flags replacing the “570S” script on the door blades, and Canadian Maple Leaf accents on the rear of the vehicle contrast with 10-Spoke Lightweight Forged Wheels in Stealth Finish. Also featured are Carbon Fibre Exterior Packs and other MSO Defined Carbon Fibre accents. Inside, a black leather and Alcantara interior is set off by a red Alcantara roofl iner, red Alcantara steering wheel with white “12 o’clock mark”, as well subtle maple leaf accents. A plaque inside each car identifies it as one of five ‘Canada Commission’ vehicles. The 570S Spider features a 3.8-litre twin-turbocharged McLaren V8 engine with 7-speed, seamless-shift gearbox, delivering 562hp and 600Nm of torque. The acceleration from 0 to 100km/h in 3.2 seconds and 328km/h top speed are identical to the 570S Coupe, while the top speed with the roof down is 315km/h. The 570S Spider employs racecar-style, double-wishbone suspension all-round, with steel springs, twin-valve adaptive dampers and anti-roll bars, which allow for exceptional body control and a pure, rewarding drive, all while maintaining impressive comfort. 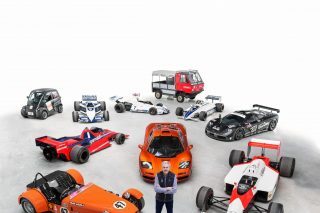 Highlights of McLaren’s racing and road-car history in Canada include Bruce McLaren winning three races in a row in the Canadian Sportscar Championship behind the wheel of the McLaren M1B in 1966; Bruce McLaren and Denny Hulme finishing 1st and 2nd respectively at the Canadian Grand Prix in 1968; and the 1-2-3 podium finish at the opening round of the Can-Am Challenge in 1969 by Bruce McLaren, Denny Hulme and John Surtees in McLaren M8B and M12 racecars. 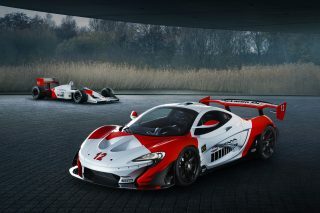 Three of the Canada Commission 570S Spiders will be available for purchase through McLaren Toronto, while one each will be available through McLaren Vancouver and McLaren Montreal. Read about the McLaren 570S Spider Track Pack. Check out the romantic 570S Spider designed for Valentine’s Day.